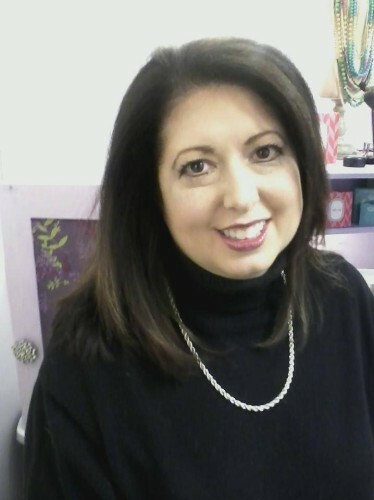 Diane Dexter of Decatur, GA is the author of this week’s Bare Essentials reading, Deli. Deli is about a family that is trying to hang on to its business in the face of change. They are fighting declines in the neighborhood and fighting each other. Tell us a little bit about yourself and your inspiration for writing this play. I’m a professional journalist, and I live in Decatur with my husband, Jim, (who portrays Judge in the play) and our dog Emma. I grew up near Pittsburgh, Pennsylvania, and I saw a lot of thriving little towns go under, or almost go under, when the steel industry collapsed there in the 1980s. At the same time, regardless of the community, many mom-and-pop businesses have closed because there is no one to take them over; members of the next generation (like brothers Dan and Joey in the play) have a college education and simply don’t want to make the almost round-the-clock commitment that comes with owning a small business. The rise of chain stores has added another dimension, as they are able to sell at lower prices and make it harder for the little man to compete. I wanted to portray the struggle of a business trying to survive in the face of all these challenges. I’ve had the story in my head for around 30 years now, and I got into playwriting specifically to write it. Every year, my new year’s resolution was to write my play, and finally a couple years ago I took a class at the Alliance Theater to learn the craft and help me get going. What is the importance of staged readings in your own creative process and the development of your play? What do you hope to get out of this Bare Essentials reading process? Readings are everything in moving a play forward; it can look good on paper, but you have to physically hear it to know if it works. How do the words sound? Is the dialogue convincing? Are the conversations natural? I have the tremendous fortune of working with an extremely talented cast at Bare Essentials. They really bring the characters to life. Deli will be performed by my synagogue, Congregation Bet Haverim, in December. Deli will be read at the West End Performing Arts Center on Tuesday, August 4 at 7:30pm. Directed by Joan McElroy and featuring the reading talents of Mike Carroll, Dan Brown, Travis Young, Travis Draper, Kerwin Thompson, Rial Ellsworth, James Connor, Jim Dexter, and Betty Mitchell.